Not everyone has the time, inclination or steady hand to be a shaving purist, and from time to time I really struggle using a safety razor to shave. I have a tremor in my hands, which when playing up can mean that using a safety razor is reckless, nay borderline suicidal. When these days come I opt for a normal run of the mill disposable razor from either Gillette or Wilkinson Sword. Have you seen the price of those disposable razor heads? Jesus wept (well he would of if he had shaved) they are expensive so anything that can prolong their life is bonus. 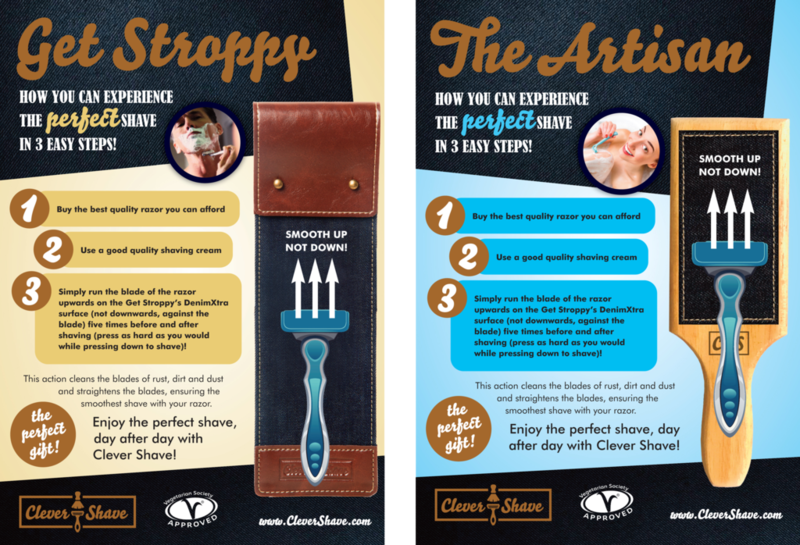 I’ve written in the past about RazorBrite, a solution that removes the crystal build up on your blades but today I’m going to be looking at the Clever Shave Get Stroppy Executive & Artisan Box. 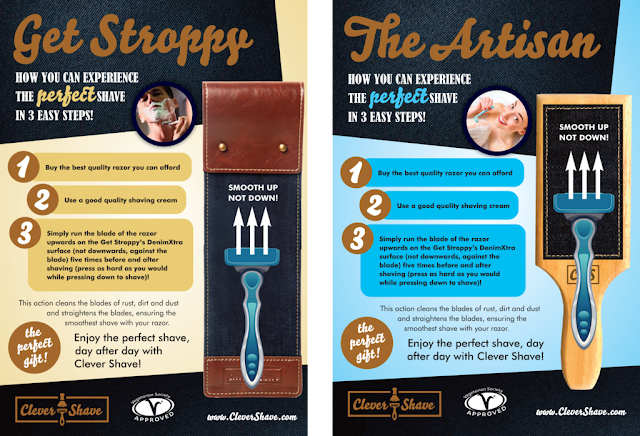 I was offered the chance to review this product by Clever Shave and it’s been with me now for a few months so I think I’m now in a position to give my thoughts on the product, whether it works and whether it offers value for money. Despite receiving this as a PR sample gratis I can assure you that I’m being incredibly objective, and if you think I can be swayed, well folks you really need to read more of my stuff - if something is crap, I’ll say it’s crap and via versa. So, what do Clever Shave say about themselves over at their website here? 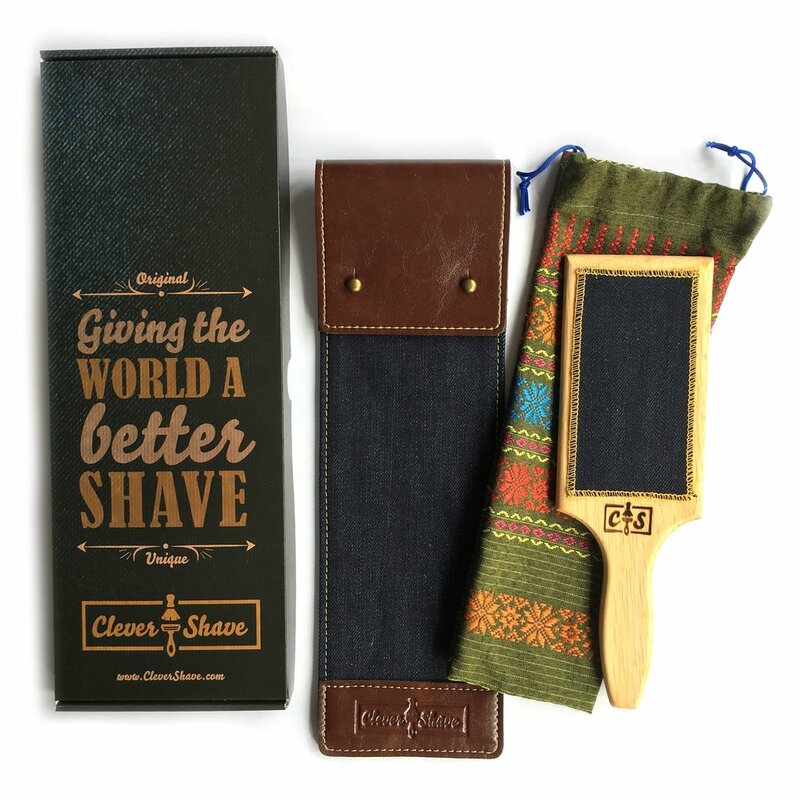 ‘While creating the Clever Shave brand, the idea of ‘Giving the World a Better Shave’ was our driving vision. But then we thought, to live up to that vision, we need to go further, delve deeper and do things which REALLY make a difference to the World around us. At the heart of Clever Shave is saving money. Our shaving strops cleverly clean and re-align your razor blades, giving you a better shave and extending the life of your blade, giving you a better shave, day after day. The Get Stroppy Executive & Artisan Box costs £30 and details on how to use the product are below, but before you read that, I have to say that I dived straight in and struggled - reading the instructions is a must otherwise you just end up shaving one side of the strop! So, the strop should remove build up from blades and also straighten them. After the usual two shaves with a disposable razor it had already started to blunt and wasn’t cutting through my beard without snagging and causing much colourful language! While the blades looked already straight there was a large amount of beard stuck between the blades and I could see a film on the blade. A couple of firm glides up the strop and not only had most of the blocked hair been removed but the film had also completely gone on the tips and for about half of the blade. It’s the tip and the sharp age that I was concerned about and was pleased to see that it appeared like brand new. Win! After I started to shave with the blade no more snagging and the shave was totally even. That was the first time I used it, now before every shave or trim using a disposable I run it up the strop and now, on my ninth shave with the same head and the shaving experience is only now at a point where I might as well just change the head. All in all, in just a few months this has saved me buying more disposable razors, I’ve sent less to landfill as a result and there is also the positive environmental impact of not having to make so many blades. It’s doesn’t cost a lot and looks very stylish hanging in the bathroom by the sink and for that I’m truly thankful. If you use disposables you should look at picking up one of these, and if you are looking for a gift for your other half that will also save money over the long term then look no further. Top notch people, top notch. L'occitane men's aftershaves are products I highly rate. One of my favourites being Cedrat which has the lightness and fresh zing that comes with fragrances like CK One but dries down incredibly quick to deliver a masculine fragrance that retains it’s citrus vibe and is actually really lovely. 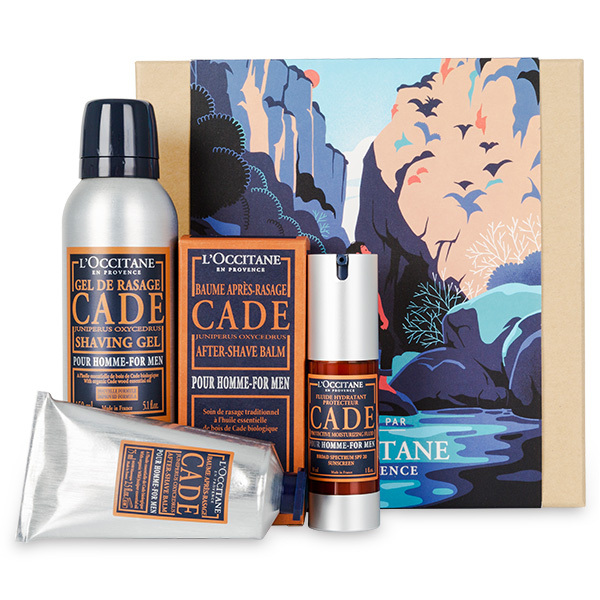 I am asked regularly by readers and friends what gift sets make good gifts and I try to stick to products that I have used and am a fan of and L'Occitane is always one I find myself referencing simply because they have an incredible men's gift selection. 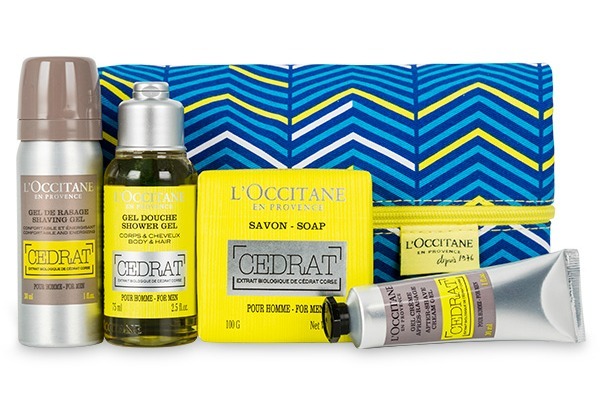 Whether you are looking for a fragrance, a duo set, a shaving kit or even a travel kit, you name it L'Occitane have it and for every kind of budget. The second option which is more budget friendly but incredible value for money is the Sparkling Cedrat Collection which includes this incredible brightly coloured travel bag alongside 4 products - Cedrat Shaving Gel, Aftershave, Shower Gel and a 100g bar of soap. Everything you need in one bag for those long weekends away, work trips and holidays. Those are just two of the gift sets which have currently caught my eye and as we move on to the festive season, I have no doubt there will be many more! If you haven't tried something from the L'Occitane range for men I highly recommend that you do. If I could only ever wear one aftershave ever again it would have to be Bvlgari Pour Homme, this aftershave and I have some serious history going back now nearly twenty, yes twenty years. Casting my impending old age to one side I’ve spent those heady years seeking out other fragrances from Bvlgari, some excellent while some have left me wondering what the hell they were thinking! Bvlgari Man is a fragrance that a former colleague called the “Stephen smell” as I wore it every day for a year but it may be under some serious competition now that I've had my sniffing tackle around Bvlgari Man in Black Eau de Parfum. I first smelt this my friend Alan at his recent birthday and was hooked yet didn’t go out and buy a bottle until recently. One question I’m asking myself constantly now is, why the hell did it take me so long to pick up a bottle for myself as it is lovely. Before you think that’s it, if you read on not only will I give my thoughts on the fragrance, but being the oh so generous person I am, I bought two bottles so that I can share the fantastic nasal overload experience with one of my readers. Bvlgari are a luxury fashion house, and their fragrances don’t normally come cheap - I remember paying well over £80 for my bottles of aftershave from the brand in the past but guess what, the price has come down quite a lot over the years. I paid £55 each for my 60ml bottles but you can pick them up online from places like Amazon for anywhere from £30-£45 so it really does pay to shop around. I opted to buy mine from The Perfume Shop as I received a Michael Kors bag for spending over £100, which will become my gym kit bag. Having smelt this on my friend at his party and on a friend at work after recommending it to him I had a good idea of how the fragrance would evolve over time and what it would be like after finally drying down, but when peeking at the notes I was still surprised, particularly by the Tonka Bean as to me this fragrance doesn’t seem to have the sweetness that usually comes from such a note. As soon as it left the atomiser I knew I was onto a winner - a strong blend of rum and spice that immediately started to fade down to a subtle hint of spice. I confess that within seconds I couldn’t detect any obvious hints of rum but the spice was warm and not too overpowering. Bliss. It started to evolve within minutes as it was absorbed by my skin and again, I couldn’t pick out the all of the notes but the tuberose (it’s a flower used as a note in aftershaves and perfumes) combined with the spice and leather note was almost heavenly. This post in fact has taken much longer than normal to write as I’ve spent at least twenty minutes sitting back and continuously smelling the fragrance on my wrists. After around five minutes you have the final fragrance and this is how it smells for a good ten to fifteen hours after applying. It remains really subtle but as you walk or move around you will pick up hints of the floral spice that comes from the top notes. I cannot stress how much I really like this fragrance. This is not too dissimilar to Black Orchid by Tom Ford (and much cheaper), it has hardwearing notes that make me want to continuously sniff away at myself. While with Bvlgari Pour Homme it dries down and I can’t smell it (yet everyone else can) I still get hints of this on my skin some ten hours later. It’s just quite possibly one of my favourites. It has a beautiful blend of notes that produces a masculine and spicy fragrance that will have people asking you what you are wearing and where they can get some from. It’s immense and well worth the purchase price. Only a little goes a very long way given it’s strength and I for one will not now be without a bottle of it in my collection, in fact, this may well indeed become the new “Stephen smell”. It’s not going to knock Pour Homme of it’s perch as my favourite but it is pulling at it’s ankles from second place. Perfect for daywear, nights out or special occasions you really should put down what you are doing now and pick up a bottle for yourself or the man in your life. There are a few mandatory entries which must be completed, otherwise your entry will be null and void. Ensure that you are over 18 or have your parents permission because I will need your home address and finally owing to the prize on offer, this is a UK only giveaway. I have a slight obsession with fragrances, I search out bottles when I get even a hint that I might like them or simply buy bottles without smelling them entirely on impulse. Sometimes I pick up lemons (as in really bad aftershaves) and sometimes I pick up some little gems (Eros by Versace springs to mind). It’s like a Stephen style touch of aftershave roulette, except unlike real roulette I win more often than I lose. When I was asked if I would like to sample a subscription aftershave box I naturally was intrigued and after taking a peek at their website I couldn’t help but say yes to the Secret Scent Box. So, for £15 you get a box that contains three different fragrances - aftershave and cologne if you choose the male box and perfumes if you choose the female box. You don’t just get three little testers to try, you get the notes to the fragrance as well which for me lets me sit back and imagine how I think they will smell not just on first application, but also as it evolves through the heart and dry down notes. I can see myself becoming very addicted to this service! After reading the notes, making a prediction of what they would smell like on me and actually trying them I have been impressed. If I asked my friends to pick out three aftershaves for me to try I would expect to dislike at least one, but not here, I love them all. Davidoff Champion stands out from the box as one where I will have to go out and buy a bigger bottle. I received my male fragrance box a few days ago through the post (the box fits through the letterbox so no red cards from the Post Office and a trip to the local sorting office to collect) as you would expect and I have to say it wasn’t what I had expected. I’d had the thought myself of a creating a fragrance box when I first started this blog and considered just sending out one 30ml bottle of aftershave a month. Secret Scent Box have taken that idea and added in variety. For £15 you receive 27ml of fragrance, three 9ml testers with atomisers that should, with frugal use keep you going for a whole month. For me personally I really like this concept - I’ll get to sample a number of new fragrances every month, get given the low-down on the notes to each and I know this is sad, but just opening the box to see a card say “hello handsome” first thing in the morning brings a wry smile to my face. Cracking concept, I love the contents and the price won’t leave your bank account less than fragrant. For just £15 you can sample some really cool new fragrances before you go and shell out for a larger bottle. Bravo people, bravo. I had seen the rather stylish bottles for various aftershave and perfume offerings from Amouage on Pinterest for some time. When I was asked if I would like to try the new fragrance, Myths Man by Amouage I actually expected a really small tester as this isn't by any stretch of the imagination a budget brand, it's expensive. When a 100ml bottle arrived oozing style I was not only grinning from ear to ear I was intrigued as to how the notes, which seem predominantly floral to me would play out on my skin. 'Myths Man by Amouage is a Oriental fragrance for men. Myths Man was launched in 2016. Myths Man is a surreal mirage of oriental elements intoxicated with enigmatic tones of smoke and wood, creating a fusion of dream and ambivalence. The first blast from the atomiser is overly floral as you would expect yet has a warmth and almost immediately becomes heavier and spicier. This isn't for you if you like your fragrances light and airy, oh no, it gets heavier and warmer. It took about fifteen minutes of intense sniffing but eventually I could detect the vetiver but overwhelmingly the leather base note becomes the most prominent and remains the most prominent note until it eventually fades away. If I hadn't read the marketing blurb I would have placed this as more of a fragrance from the Middle East, it reminded me of a visit to a perfume store in Egypt some years ago. It certainly does evoke a strong reaction from me, and it can be quite polarising. My wife doesn't like it, she says it's too heavy yet everyone else who has smelt this on me says that it's actually incredibly lovely. If it was a little cheaper I'd probably be screaming that this is one you should always have (over the screams of my wife saying never to buy a bottle) in your aftershave collection. This last for well over fifteen hours so you have a very hardwearing, almost exotic fragrance that knocks the spots off a lot of other high end fragrances. Personally I'm a Creed man even if I have to re-mortgage the house to buy a bottle but this is a very close second and actually last much longer than any of the Creed fragrances in my collection. If you see this stop and try it, and please do let me know what you think to it - I'm 90 per cent certain that people with a nose for all things manly scented will become addicted to it. 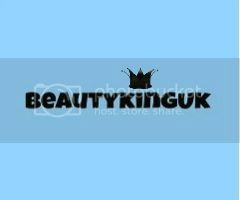 I once had a totally horrific experience using a Toni&Guy product – it was called TX Wax and once I had applied it to my hair it took days and many, many different other products to try and shift it. It made hair styling impossible and drove me to the brink of actually shaving my head to get rid of it. So, with that in the back of my mind when the GQ Grooming Power Pack2016 dropped through the door and I saw that it contained a 75ml tub of Toni&Guy Men Styling Fibre it was popped into a box to be forgotten for a good few months until I ran out of Schwarzkopf Men 3D Molding Wax. This did come as part of a cracking beauty box. If you haven’t yet seen what else came with the GQ Power Pack 2016, you can do by clicking here (after reading this obviously). Personally the sheer number of products in the GQ box and the size of the samples surprised me. For starters, this has the consistency of a paste rather than a cream or gel and is so easy to get out of the tub, onto palms and eventually into the hair. Personally I always apply this to damp hair, styling from the back to the front before drying into place. The fact that the paste is so pliable means that only a tiny bit of the product is needed to cover what I consider to now be a substantial amount of hair - my hair is now stupidly long! So, on point one, it's an absolute breeze to apply which immediately makes it better than the wax of theirs that I tried. Hold again can't be faulted. My hair style at the moment is swept across and back (see below) but as I have to stand on the tube to work, usually in front of the carriage door without any product my hair would be a tangled mess by the time I got to the office as it's blown all over the place. With just a small amount of paste it adds weight to my hair and holds it in place. It isn't a set like hold you get from a gel or hairspray but it keeps it where it should be for well over eight hours which in my book is pretty decent. What this won't do is keep your flowing locks in place during a gale - it holds, but if you want a hairstyle with the cranial protection of a crash helmet then this isn't for you. As my hair gets longer I do tend to fiddle with it far far more often than when I have the shorter messy spikes. Using certain products can leave hair looking greasy and even worse, leave a sticky residue on fingers. Surprisingly after drying my hair looks completely natural I think, it doesn't have a greasy shine and best of all, the residue that rubs off onto my hands throughout the day is minimal (win). Best of all though, after drying there are no flakes, nada, zero. No fear of looking like you have a horrific case of dandruff. Finally, can you wash it out easily? Well yes, it comes out with just a hint of shampoo and it doesn't seem to build up on my hair over time which has meant for the last few months I have been able to ditch my weekly use of de-gunking shampoo and my hair has never looked better. With a staggering amount of confirmation bias* I've tried desperately to find some fault with this product due to my intense dislike of their wax but can't find a thing. It does what it says on the tin, a little goes a long way and it won't break the bank. Bugger! So, that said, you can do a lot worse than this stuff and if on the lookout for a new hair styling product or just fancy a change I can put my hand on my heart and recommend this. *Confirmation bias is the tendency to search for, interpret, favour, and recall information in a way that confirms one's preexisting beliefs or hypotheses, while giving disproportionately less consideration to alternative possibilities.